and every problem we’ve had during our extensive test phases has been nitpicked and solved. All of our kits are backed by a 60 day 100% satisfaction guarantee, so buy with confidence. Check out our entire line of lift kits today! We ship our kits same day so you don't have to wait. If you're a shop, then you know just how important it is to get your parts quick for your customers, we have several shipping services available and can even arrange for your kit to be delivered next day! Every kit we sell lifts both front and rear of your truck with no major modifications. Most kits only require hand tools and installs in a single afternoon. Click here to see F150 lift kits. Tired of those wimpy factory treads? Lift your truck and install bigger tires! Our kits give you the additional clearance necessary for those mud crawlers. Click here to see Ram lift kits. If you're a customer and your local shop doesn't carry Liftcraft Kits, then demand it! 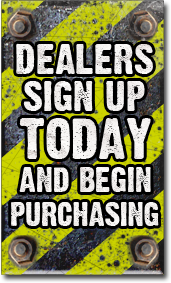 We have hundreds of dealers worldwide and can ship our kits anywhere. Don't settle for less, if you want to do it right the first time, then Liftcraft is the way to go. © 2019 Liftcraft Suspension Systems. All Rights Reserved.